I am quite sure that we all own at least one touchscreen device, and in the early days of touchscreen devices, they would need the use of a stylus to work well, as one’s fingers will not be able to get the job done effectively. Enter the £5.00 Touch Point Stylus, where it is capable of transforming just about anything into a stylus. 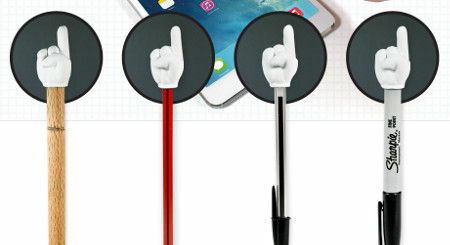 In fact, it looks like one of those Mickey Mouse gloves, being a compact stylus that you are able to bring with you anywhere. Specially designed to fit on the end of most writing instruments, including the likes of wooden spoons, it will turn into a stylus for your iPhone, iPad or other device. When it is not in use, it is the ideal size to be placed in your back pocket or in your handbag.